In November 2016, the Society had a very enjoyable and interesting visit to Godstone. Gathering at Godstone Vineyard for lunch we had a very relaxed social start to our event. Several of our group arrived early so that they could have a wander around the vineyard and/or settle in the snug little tearoom attached to the vineyard. A good number of those present took the opportunity to sample the local produce! After lunch, we left our cars at the vineyard and using the kind services of a supporter with a mini-bus, transferred to the Highways England (formerly Highways Agency) Regional Control Centre just a short distance from the M25 at Godstone. We were made very welcome and spent about 45 minutes learning more about the role of the Godstone unit, the issues they face and some of the stranger calls and incidents with which they have to get involved. It was amazing how often they have to deal with drivers going in the wrong direction on motorways and dual carriageways! We also came to understand why the matrix signs show some of the messages or restrictions that one sees but do not immediately make sense – for example an incident is just some undesirable situation until they have formal confirmation of what it is and can then change the sign to be more descriptive. 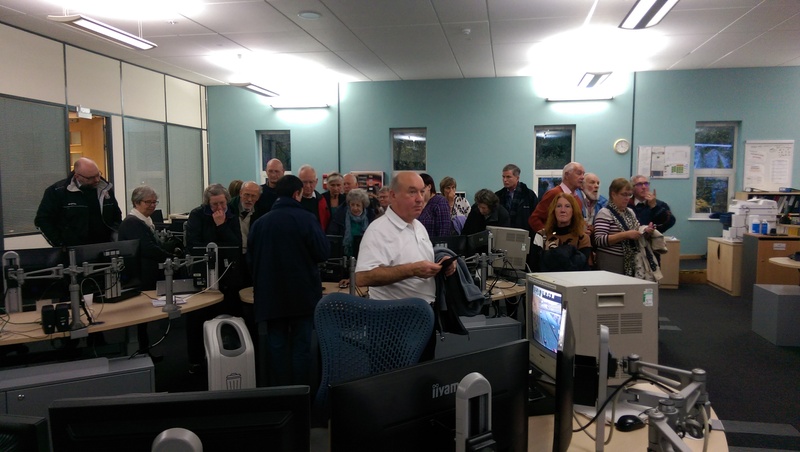 It was also explained to us why it is important to use the roadside emergency phones in the event of a problem rather than just trying to use a mobile phone to sort things for oneself. Once Highways England are contacted, they can target the incident with cameras, dispatch support units to cone off areas, contact and chase your recovery service for you and generally try to keep you safe until the situation is resolved. Until they get that phone message you are on your own! ?Since the average time that a vehicle is on the hard shoulder before it is hit by a passing vehicle is only 11 minutes, it is obvious why their assistance is key. Having learned a lot about the work of the unit, we then went upstairs to the control room to see their work for ourselves. There were lots of screens covering not only motorways but major routes all across south-east England. At the time of our visit the team were monitoring a major incident on the anticlockwise carriageway of the M25 between Reigate and the M23 (which had actually caused travel delays to a couple of our group). We were able to see this and various other traffic situations and chat to a few of those working there. This was an absolutely fascinating visit and one where you can’t just walk in off the street to have a look. We all came away better informed and having had a brilliant day out. I would certainly give this event a very high score!